On November 11, Poland celebrates its National Independence Day. This is to commemorate the regaining of independence and return on the map of Europe after 123 years of Poland’s absence as a state. The 1st November is celebrated in many countries as the All Saints’ Day. Poles visit the cemeteries massively on that day, light candles and lay flowers on the graves of loved ones and those whose memory they wish to commemorate. 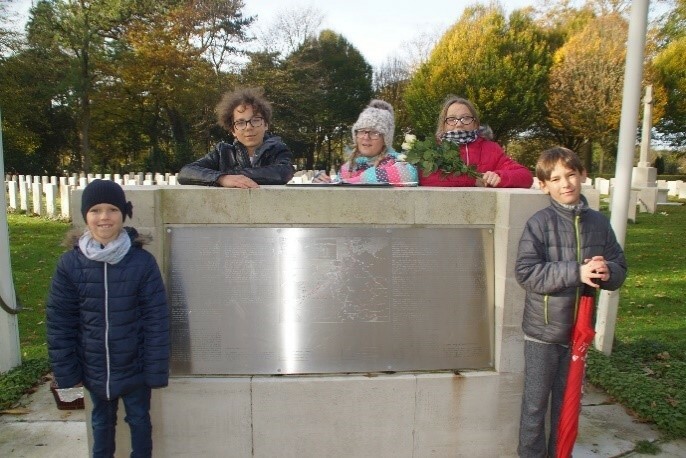 Because of both those occasions Polish students from our primary and secondary school and their teachers have visited the Bergen cemetery near our school to give evidence of memories about the Polish pilots who were shot down during the Second World War by German anti-aircraft defenses over North Holland. After the attack of Germany and Soviet Russia on Poland in September 1939 and followed by its occupation, many Polish pilots arrived first to France and after its surrender to England. About 8400 Polish pilots reinforced R.A.F. – Royal Air Force of Great Britain. Polish Bombers and Fighters Squadrons were also formed by that time. Aircrafts piloted by the Poles took part in more than 1000 missions of bombing Nazi Germany between 1941 and 1943. Many of them were shot down on the route. 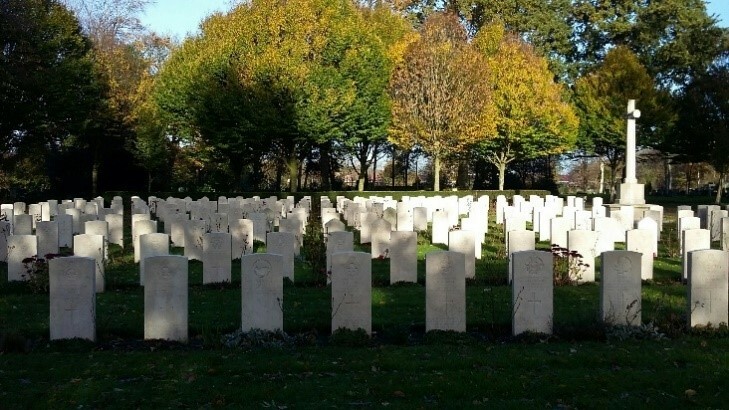 The remnants of the pilots were buried in Dutch cemeteries. Close to the Bergen European School, at Kerkdijk 41, there is one of these cemeteries. 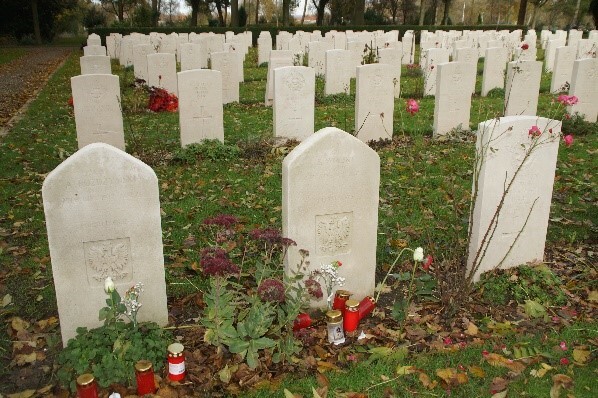 12 Polish pilots were buried there between their allies, British, New Zealand and Canadian aviators. Their graves distinguish themselves in equal rows of white stones. The stones on the Polish pilots’ tombs have a triangular shape at the top, which makes it easy to find them. 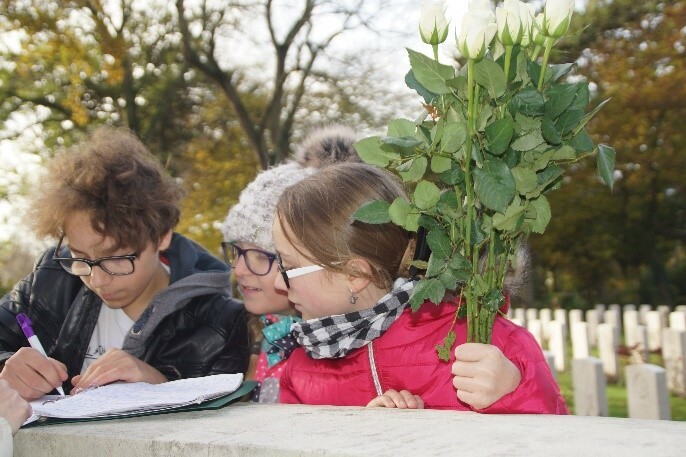 Our students lit the candles and put white and red flowers in the colors of the Polish flag on each Polish grave. They also made an entry in the commemorative book of visits. They want to do the same act next year. Especially, since Poland will celebrate the 100th anniversary of regaining its independence.